There's nothing better on a weeknight than a dinner plan that is full of flavor, uses staple ingredients and comes together in minutes. Meet your new weeknight bestie, Shrimp Saganaki. It seems fancy but requires very minimal effort. The whole process takes us about 15 minutes and most of that is just slicing onions and olives. 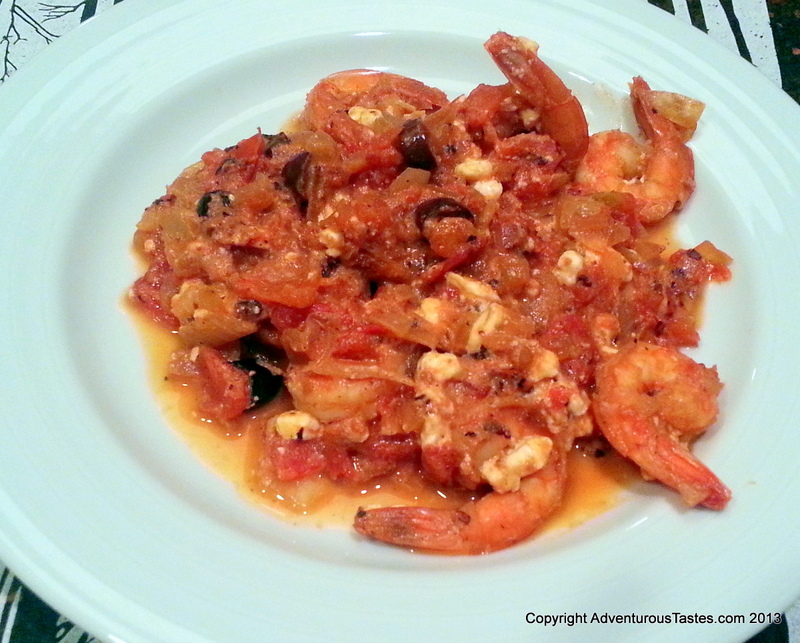 And how many of you can say you have a Greek dish in your weekday repertoire? Exotic and easy? Yes, please.